The 40-year-old law that regulates new and existing chemicals in the US has finally been reformed. President Obama signed the new law to update the Toxic Substances Control Act (TSCA) yesterday, more than two weeks after it passed the Senate by unanimous consent, and almost a month after being overwhelmingly approved by the House of Representatives. 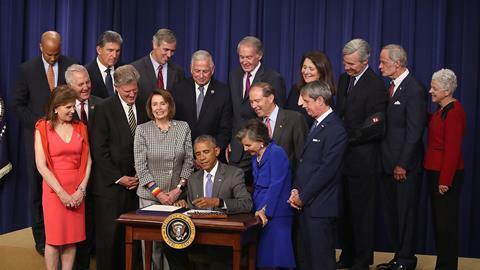 During the signing ceremony, Obama said TSCA didn’t work properly in practice. ‘In 1976, some 62,000 chemicals were already on the market, but the law placed demands on the [Environmental Protection Agency (EPA)] that were so tough, so onerous, that it became virtually impossible to actually see if those chemicals were harming anybody,’ the president stated. In fact, out of those original 62,000 chemicals, he confirmed that only a ‘tiny percentage’ has even been reviewed, and only five have been banned.